I am a songwriter/producer based in the North of England. I am also a working live musician and session guitarist. 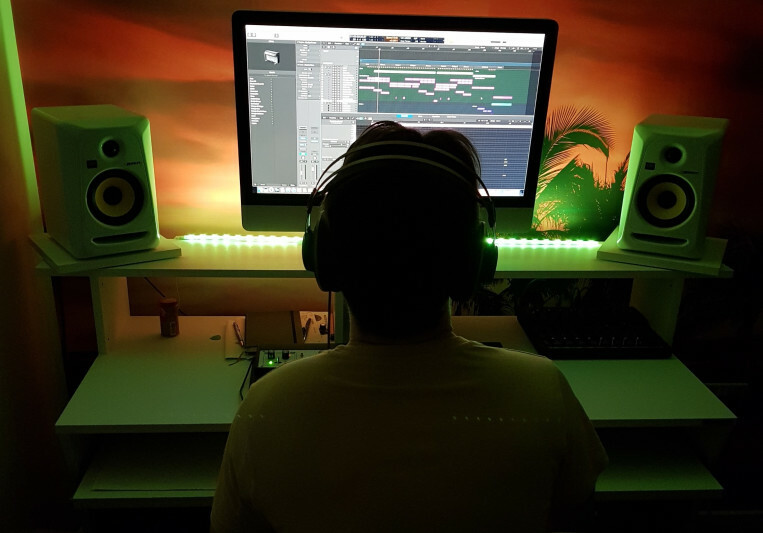 I work remotely with clients all over the world from my home studio, mainly providing fully produced tracks for licensing/sync work, songs for independent artists, lyrics/toplines, remixes and session guitar work. Over the past ten years I have had tracks in the Beatport top 10 chart, songs placed on hit US TV shows and remixed a Kool and the Gang single. I also record and release my own music through my own act Van Den Wolfe. I have almost ten years recording experience (I currently use Logic X and own hundreds of industry leading plugins) and can deliver tracks for you with full production and mastering if required. Depending on the project, you may just require stems but I am just as happy to provide a mix and master if required. I also have some analog synths (Microkorg XL with Banshee Rocktron Talkbox, Roland Juno), collection of acoustic and electric guitars and a vocal booth set up. My main genres are funk, electronic, soul, dance and anything that grooves. I do like to write songs with a commercial edge, but my roots are in the funk and soul of the 1970’s & 1980’s. I especially love rare funk grooves from the early 1980’s. Please take a listen to my work to get an idea of my sound. Andy is a legend. Enough said. Andy is nice to work with and had professional communication during the project. Delivered both music production and lyrics in time as agreed. 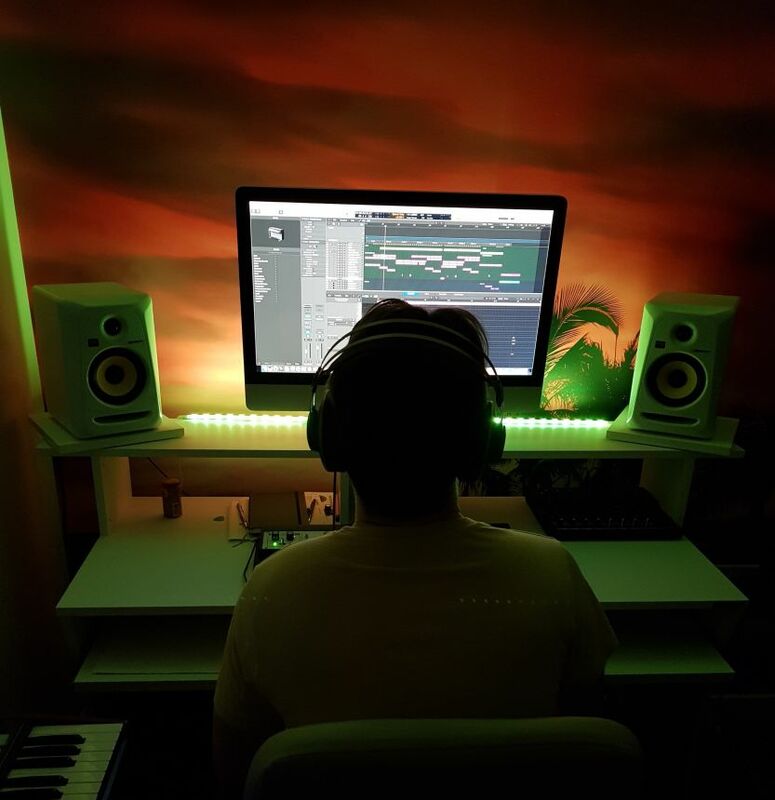 An amazing and reliable music producer I truly recommend. Green Light Music is amazing! The level of musicality is off the charts! great work. Highly recommended. A: I recorded a song with Soundbetter artist Jessie Wagner last year called 'Bring Your Loving Back'. The song is an 80's funk/R & B inspired track that has had a lot of airplay on French radio, and hopefully will be released worldwide on vinyl later this year. I wrote and produced the track. A: An electro-funk album scheduled for Summer release, and a house track with top lines provided for client. A: Completely depends on the project and budget. However, I do favour digital and I think the advancements in modern years of soft synths rivals analog. For emerging artists on a realistic budget this makes a lot more sense, and it won't stop anyone topping the charts. A: Every project is a different challenge, there are so many talented artists across the world and we now have the privilege to connect and work together. A: Can I provide lyrics/melodies? The answer is yes but some direction is preferred, otherwise I am essentially writing the song completely for you. (which is fine by the way, but 'artistic license' is required if so). Can I work for a discounted rate? (or some alternative of this!) 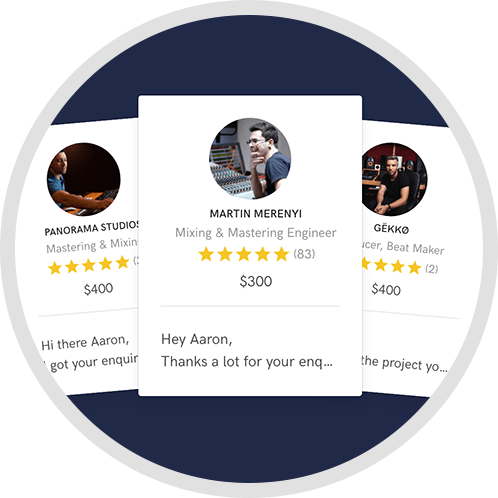 My rates are already greatly reduced as I am new to the soundbetter platform, and I also include buyout as part of my price. Please take into account the time involved in creating a track, recording vocals, mixing etc. etc. before asking me to work for nothing. A: When I say I am a music producer, many people assume this means I am just offering mixing and mastering services. I do provide this as part of my service, but the main focus of my work is in songwriting, creating instrumentals and helping artists create/arrange the songs. A: What vision do you have for the song? Are there any reference tracks you can give me that have the same sound/feel? What do you want to be the main focus of the song? Hook, lyric, guitar part etc. Are there any specific sounds/instruments you want? A: Get in touch and let's talk about your project! A: Since a very young age I have lived a musical life. I was 11 years old when I heard the guitar solo to 'Sweet Child O Mine' and immediately started learning to play guitar. Since then I have not looked back, firstly spending many years in touring live rock & soul bands and later becoming involved in EDM and dance music production. I now love to work with artists and help them bring their songs to life. A: For anyone wanting a funky bass synth sound (and why wouldn't you), copy the bass track over and transpose up one octave. Dial this down to around 60% of the original volume and pan slightly to squeeze more funk out of the sound. A: Dance, pop and modern styles usually. A: I pride myself on having excellent communication with clients. Poor communication has been a pet hate of mine over the years when working or collaborating with other musicians. It's unprofessional, lazy and just because we are creatives doesn't mean we can't provide a courteous service. Any client who hires me will receive a prompt, professional service from start to finish. A: My own musical style and almost 20 years experience as a musician. A: I run a pretty lean studio set up, but it gives me everything I need on hand to create productions of all genres. I use Logic X on an imac and macbook pro, have a couple of synths (one analog, one digital), a few electric and acoustic guitars, a small mixing desk interface and a Rode condenser microphone. I also have over ten years worth of plugins, loops and samples that aren't as impressive to list but in reality are my most important tools! A: I class myself as a producer and songwriter, meaning I work with artists to turn their ideas into great songs. 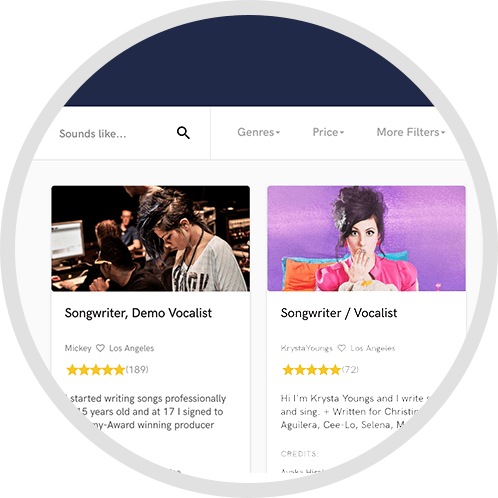 Most of my work is with artists who are looking for an original track for their vocal. 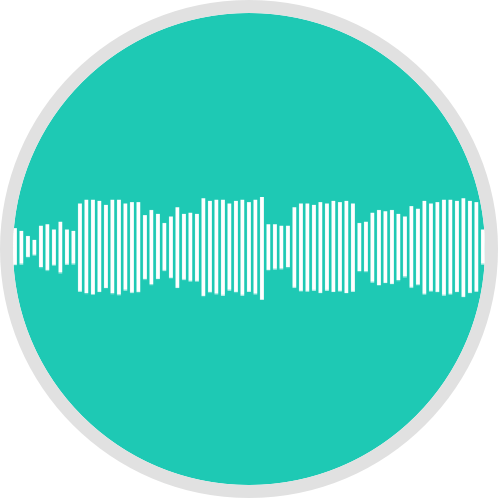 I am often asked to basically create a song from scratch based on a specific reference track or genre - I also do this for bands, record labels and publishers.